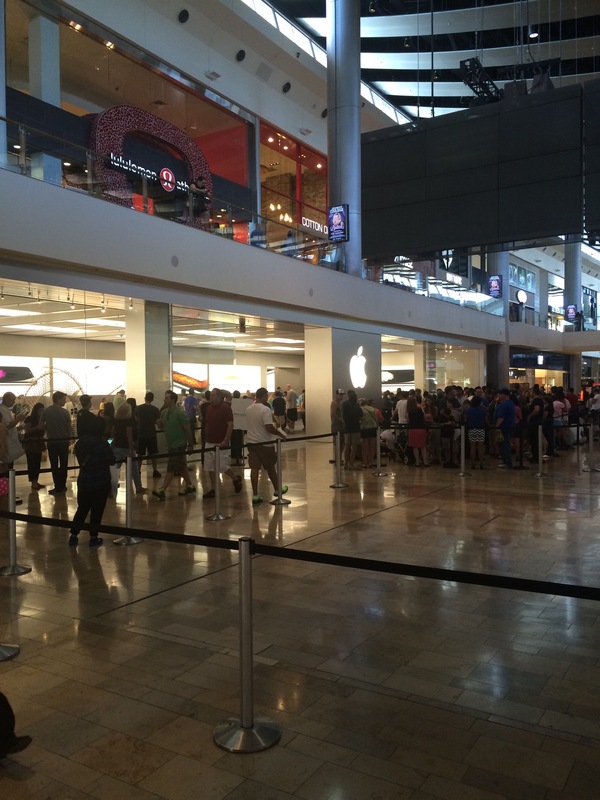 Apple Store in Las Vegas packed for iphone 6 and iphone 6 Plus. 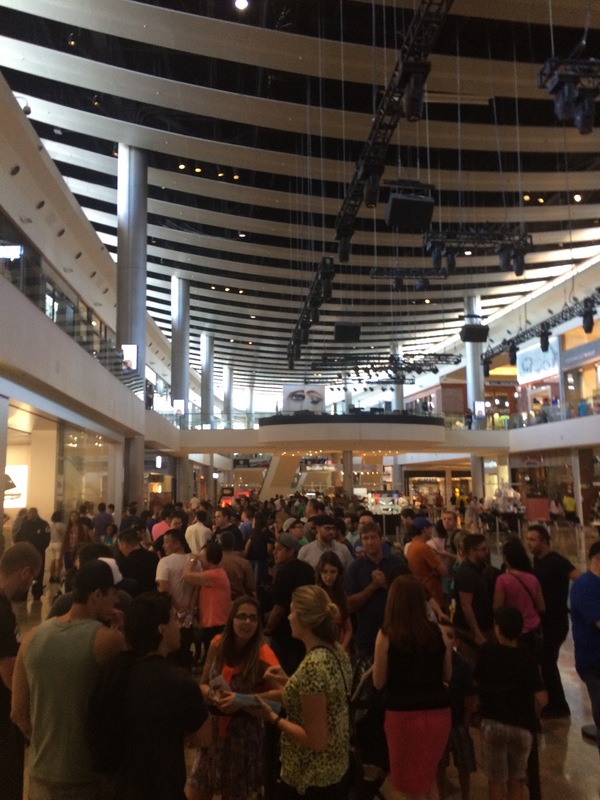 At the Fashion Show Mall in Las Vegas for lunch, I wanted to check out the new iphone 6. The line was all the way across the mall.Though I was not ready buy yet, I still managed to get in the store with a couple of my coworkers to see the new phone. 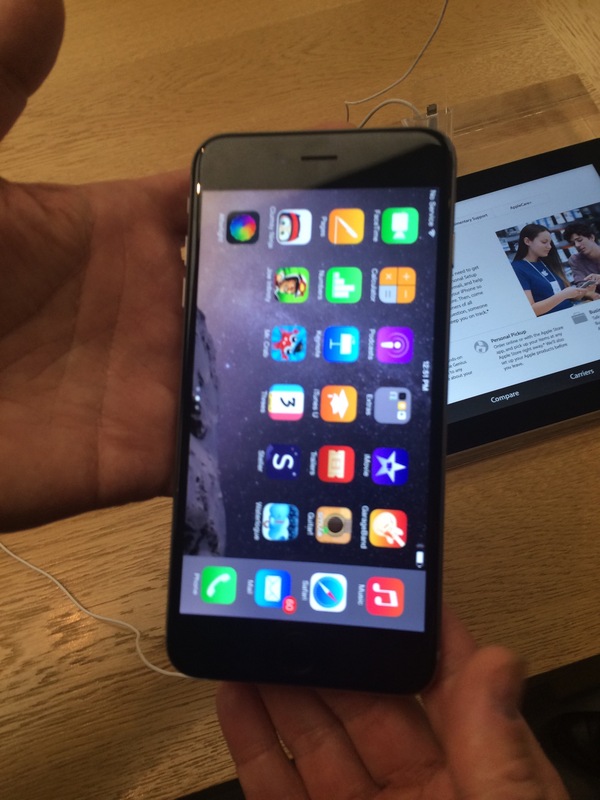 The new iphone 6 looked great. The first thing I notice about it was how thin the phone was. It was also very thin light. I even dropped it because I was not used to it. 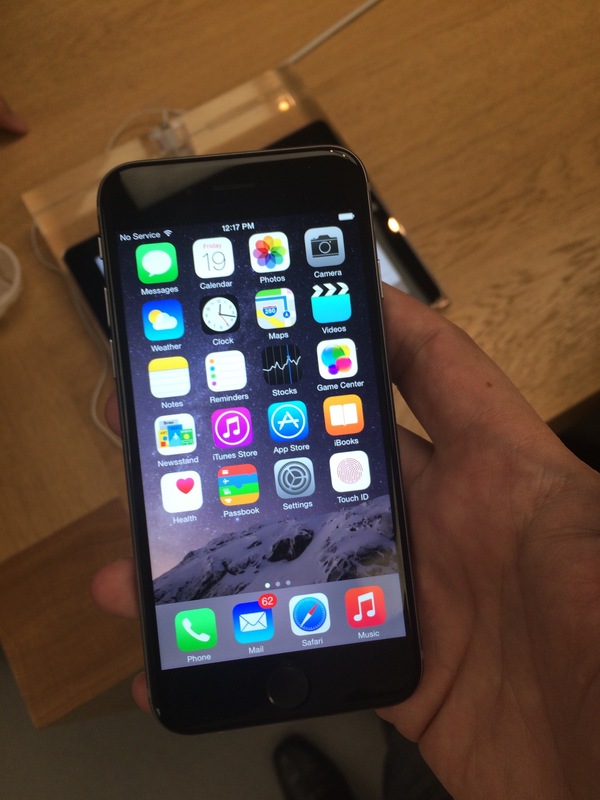 The iphone 6 and iphone 6 Plus are very good looking phones. I love the new look and feel. The screen was beautiful and was nice to the touch. From knowing Apple and their product, I’m sure the phone works as great as it looks. 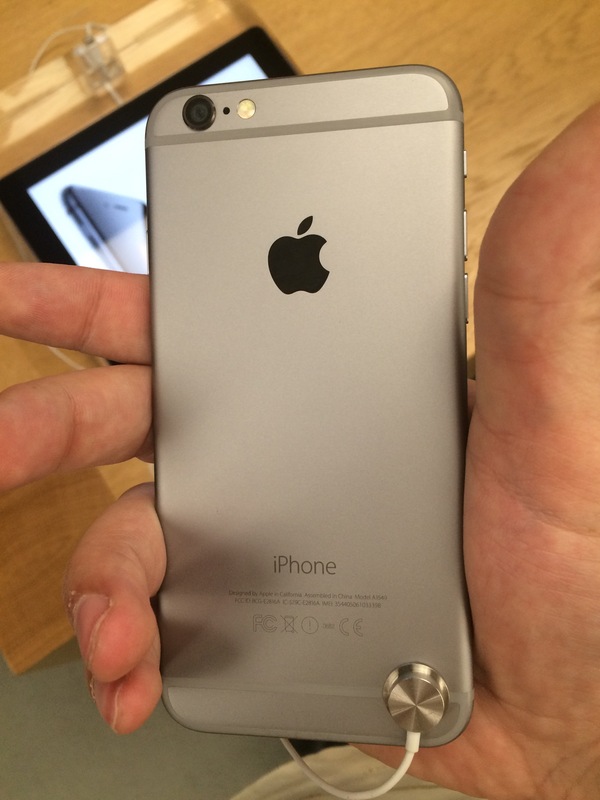 Although I didn’t spend much time at the store this day, I’m very excited about ordering and getting the new phone.